Indian monsoon boasts of a novel experience each year (giddy combination of rain, clogged drains, traffic jams and fritters) but our skin unfortunately reacts each year the same way. Oily/Combination, normal skinned girls like myself look sweaty with unintentional smudged up make up. At least this has been the reality for me. After wearing makeup during monsoon my expectation is dewy, soft glowing skin, but the reality is sweaty, sticky and oily skin that no one wants to touch. Then you might ask why I went out to purchase another highlighter in this weather. Well, I think the answer lies in the name of MAC Strobe Cream which I will review and swatch today. The meaning of the word Strobe as per the dictionary is an electronic flash. Any product containing the name strobe logically has illuminating properties. 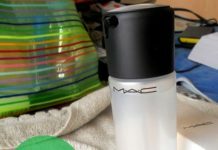 It comes in a white tube with a black cap, a basic MAC affair. The carton is also white with luminous pink highlights. 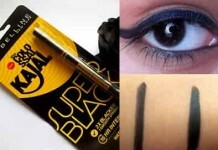 The tube is easy to carry in a purse or a makeup kit. 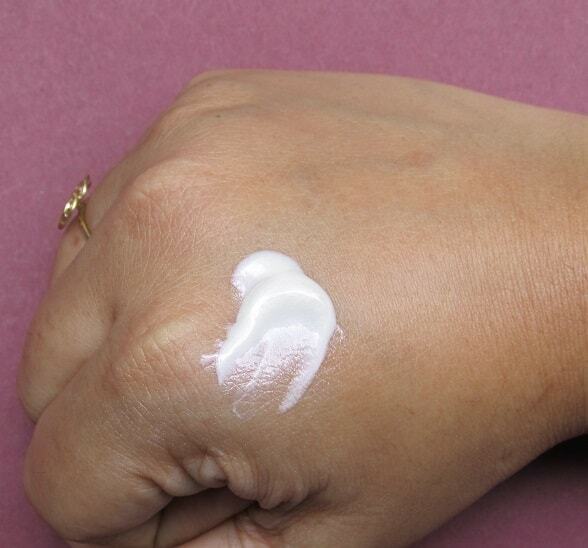 Strobe Cream also comes in a liquid bottle named Strobe Liquid which I guess it targeted towards oily skin. 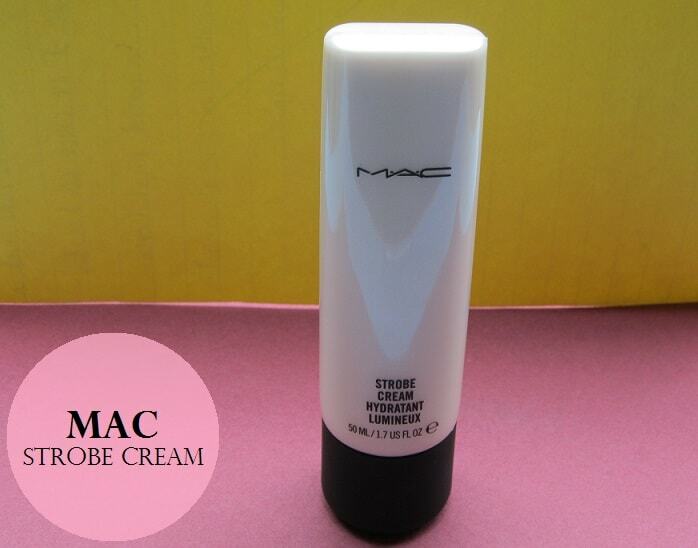 Let’s see how I use the strobe cream from MAC and if its worth buying. MAC Claims: The ultimate quick fix for the skin. Super-powered with potent botanicals; de-snoozes, de-stresses, moistens, freshens and boosts the look of dull, flat or tired-looking skin with a fully loaded vitamin zap and a mega dose of green tea. Brightens and clarifies with iridescent particles and antioxidants. Enhances the effects of light on all skin and in all lighting conditions from sunlight to spotlight. 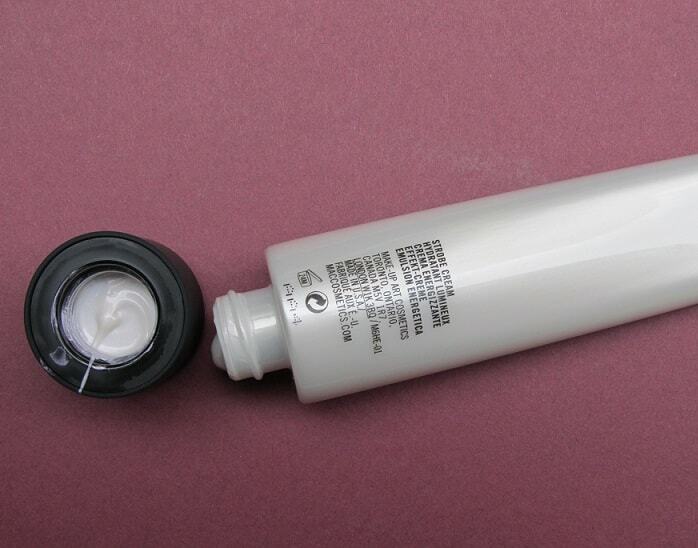 The mac cream comes out easily with just a slight pressure on the tube; in fact, at times it is difficult to manage the quantity of cream that comes out. 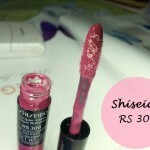 It has a hint of mauve color and a mild flowery smell which doesn’t last long. A little product goes a long way. In fact, too much of it on the skin will make it look greasy and oily. It is packed with anti-oxidants and vitamins, green tea leaf extract, various fruit extracts and other skin friendly stuff. 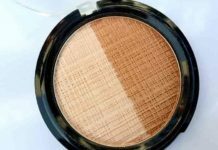 The MAC Makeup artist advised not to wear it every single day but can be worn twice or thrice in a week. The reason given by him was that if the skin is given too much of vitamins it will stop producing its own. Did I tell you that this strobe cream is marketed as a subtle highlighter? 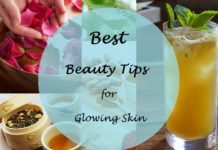 The glow that comes after applying it is very, very subtle and lasts for about thirty to forty minutes. I have been using for only one month but it has been a MAC permanent. I would describe the look as pearl glow of perhaps a pink fairy dust that gives just the right amount (a bare hint) of luminosity and glow to make the skin look vibrant, fresh and really lively. It is a quick fix for a dull tired face. 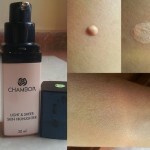 The strobe cream is light on the skin and I use it in many ways. The best way to apply it is with a flat paddle brush and not a sponge or fingers as the iridescent particles end up on the finger tips or the sponge instead of on the skin where you want them to be. They are very finely milled and you can barely make out their presence. It gives a sheen or a glow rather than a in your face sparkle. I mix it with my Bodyshop Vitamin E spray and apply it on my face and wear it exclusively without makeup. I do not apply on my T-Zone as it is very oily in the first place. 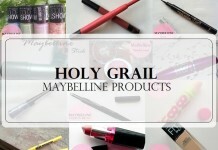 You can mix it with MAC Fix Plus instead of Bodyshop product or with any tinted moisturizer and leave it at that. It can be used as a primer for dry to normal skin but oily skin people should apply a primer on their T-Zone after using this to avoid excessive greasy look. 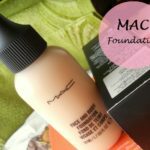 I mix a little amount with my foundation (MAC Face and Body C5) and apply all over my face to make my skin look perked up and give it a youthful glow. I must confess I have to apply translucent powder on my T-Zone to give it a matte finish. 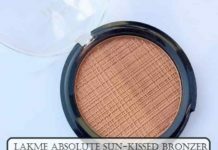 I use it as a highlighter very often and apply it on my high points after completing my full makeup (the bridge of my nose, under my eye brows, center of my forehead, center of my chin, cupid bow and my cheek bones). On top of it, I apply a thin layer of Bodyshop highlighter. The look does not last beyond 2-3 hours but for my age it is nice and subtle. 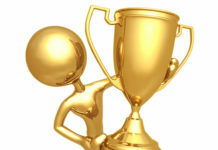 One needs to practice application as there is no one way to do it. What might work for me may make you look greasy and sweaty. It nourishes the skin and provides anti-oxidants. 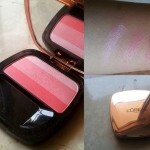 Adds a very subtle glow and shine to the skin. 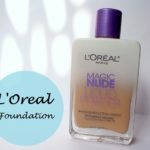 Can be used as a primer under foundation. Easy to apply and carry in a travel case. Too much product will make you look oily. Doesn’t do much for very wrinkly and oily skin. Doesn’t show much of a difference if the skin is amazingly good. 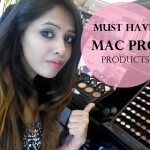 It is a high end product like all MAC products. 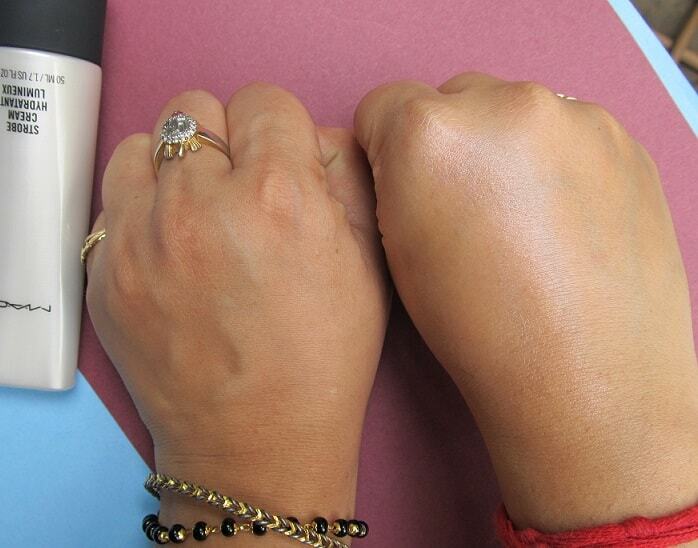 My take: I am a bit disappointed as the sheen does not last very long no matter how I apply it. In the big strobing versus contouring debate, this cream does not get too many points to win. 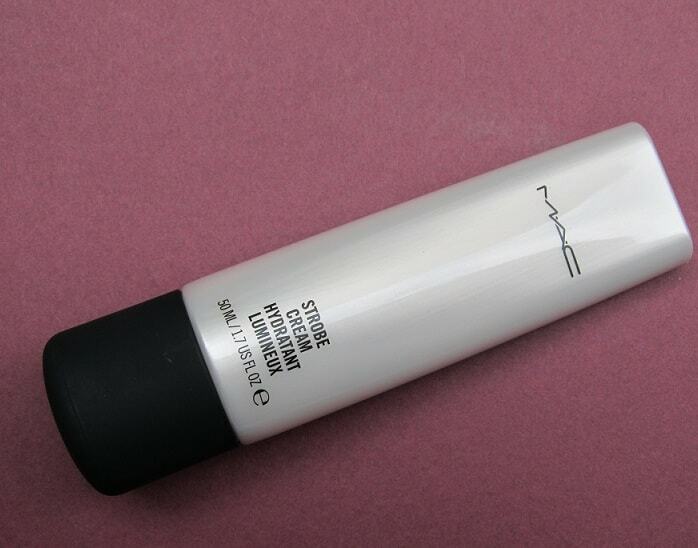 Have you used MAC Strobe Cream? Share your reviews with us. Wish it lasted a bit longer though. Yes that would have been great. 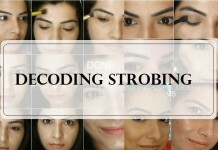 Yeah it does and I feel strobing is better than simple contouring. 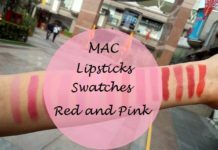 I wish MAC made smaller sizes so we could try some of the products out a few times..looks great and might suit my dry skin. Excellent pick for oily skin. I say go for it. I have combination to oily skin, it naturally shines. Lol. I love how it gives a very natural and subtle glow! 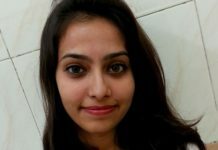 Very well written Vanshita! This became less about the highlighter & more about your writing for me. It comes across as quite witty & I would love to know if you really do write anything?